This summer I spent a few weeks rearranging the furniture in our apartment. 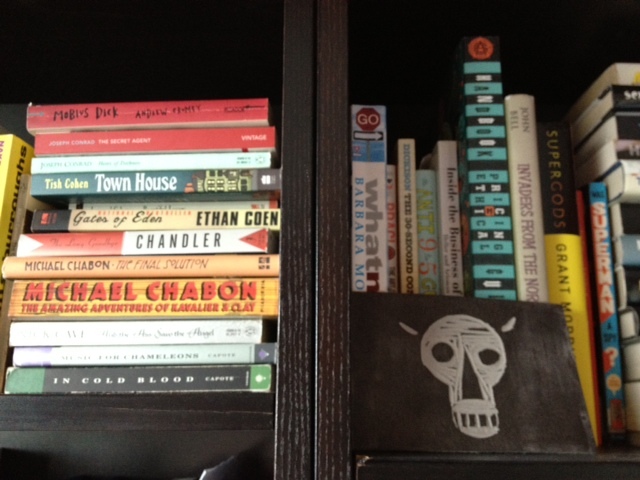 A big part of that effort included reorganizing our bookshelves. My methods for organizing my collection had changed since studying librarianship and, in particular, cataloguing. I’ve always enjoyed organizing, but now I wanted to make sure there was meaning behind the way I arranged the titles. 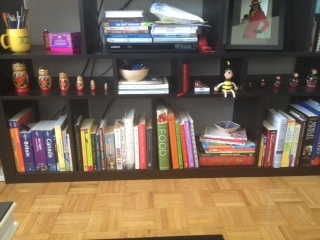 Did I want them fully alphabetized or did it make more sense to arrange them by subject, colour or size? All this thought around how to organize my bookshelves made me wonder: how do other librarians organize their own collections? First on the bill is Heather Buchansky. Heather is currently working in the Reference and Research Services Department at Robarts Library at the University of Toronto. Her title is Online Project Librarian, which entails working on projects such as creating online training support for library staff and students. Heather is a graduate of U of T’s iSchool whose previous library experience includes working as a student library assistant in the reference department at Robarts and in the Dentistry Library at U of T. Before entering the world of libraries, she worked in sales for a large educational publisher. “Working there put me in contact with a lot of librarians, and getting to know more about what their positions involved made me realize I’d rather be on the other side of the table,” says Heather.